Except crossing through airports, it is possible to get to Uzbekistan by international trains, and to cross land borders by own car or on foot as well. Almost any border crossing can be easily reached by bus, minibus and taxi from the nearest settlement. Also, after crossing the border, all possible modes of transport will be waiting for you, which will bring you inexpensively to the nearest major city. Uzbekistan is surrounded and bordered by such countries as Kyrgyzstan, Kazakhstan, Tajikistan, Turkmenistan and Afghanistan. Below is a brief description of all land borders (or Border Crossing Checkpoints) open to tourists. The main point for crossing the border between these countries is in the Fergana Valley, near the Kyrgyz city of Osh and the Uzbek city of Khodjaobad. It works round the clock and seven days a week. This border crossing is suitable for crossing by car too. Daily, "Dostuk" is crossed by hundreds of local residents from the Kyrgyz and Uzbek sides, long lines are possible. However, tourists can ask one of the border officers to pass without waiting. Nobody will be against it usually - among the Central Asian peoples, hospitality will always prevail over their own benefit. This border crossing will be useful for those who come from the Jalal-Abad region in Kyrgyzstan, including by car. It’s located between the major cities of Namangan in Uzbekistan and Karakol in Kyrgyzstan. This border crossing is open from 8 am to 8 pm, long lines are rare. The most modern and popular border crossing point between Kazakhstan and Uzbekistan. It is located near the major cities of Saryagach (in Kazakhstan) and Tashkent (in Uzbekistan). This border crossing is also possible to cross by own car. Not far from here, the border is crossed by international trains. The border is open 24 hours a day, 7 days a week. The international bus from Shymkent to Tashkent also crosses this border point. A small border crossing to Uzbekistan directly from the city of Saryagach in Kazakhstan. The checkpoint is open only for those who crossing on foot and only from 8 am to 8 pm. Pedestrian crossing, which is also located near Tashkent, works from 8 am to 8 pm. Highway checkpoint located about 100 kilometers from Tashkent, near the small town of Chinaz on the Syrdarya River. The nearest major city in Kazakhstan is Zhetysay. The checkpoint is open 24/7. Available for cars too. Border point in the west of Kazakhstan and Uzbekistan, on the road from Beineu (Kazakhstan) to Kungrad (Uzbekistan). It is possible to cross this border point on foot, by car or by train. It is located not far from the Tajik city of Tursunzoda (50 km from Dushanbe) and the Uzbek city of Saryasiya with the railway station of the same name, where trains leave for Samarkand and Tashkent. The checkpoint works round the clock and seven days a week. It is suited for crossing by cars too. This border crossing is closest to Tashkent (about 100 km). It is located near the city of Khujand in Tajikistan and Bekabad in Uzbekistan. Suitable for both pedestrian and road crossing. The checkpoint is open seven days a week. This border crossing point is in the Fergana Valley, near the cities of Kanibadam in Tajikistan and Kokand in Uzbekistan. It is open for pedestrians and for cars from 8 am to 6 pm. 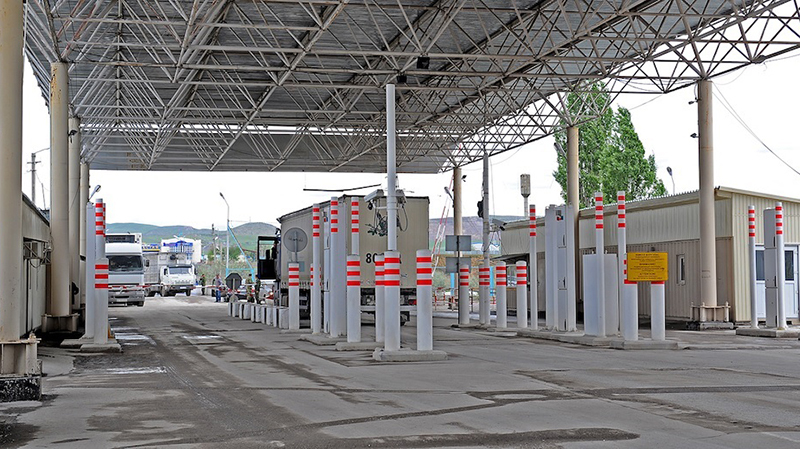 This Uzbek-Tajik border crossing between the ancient cities of Samarkand and Penjikent was closed during the last 8 years, and, along with 9 other checkpoints, reopened with celebrations in March 2018. Due to its scale and modern equipment, crossing the border takes only 15-20 minutes. The border can als be crossed on your vehicle. Considered to be the best border crossing for tourists traveling between Dushanbe and Samarkand. Connects Ganchi in Tajikistan and Jizzak in Uzbekistan.. The border crossing point between Zafarabad in Tajikistan and Jizzakh in Uzbekistan. Connecting the Tajik region of Spitamen with the Syrdarya region of Uzbekistan. This border crossing point is also located in the Spitamen region of Tajikistan, from where you can get to the Tashkent region of Uzbekistan. It connects Asht district of the Sogd region of Tajikistan with the Namangan region of Uzbekistan. Between the cities of Konibadam in Tajikistan and Kokand in the Fergana Valley in Uzbekistan. Connecting the Shakhritus district of the Khatlon region of Tajikistan with the Surkhandarya region in Uzbekistan. Which also connects Spitamen district of the Sogd region of Tajikistan and Bekabad district of the Tashkent region of Uzbekistan. This border crossing was organized specifically for trains traveling from the Surkhandarya region of Uzbekistan to the Khatlon region of Tajikistan and back. Train passengers pass through the customs procedure right on the train. It is located near the cities of Turkmenabat in Turkmenistan and Bukhara in Uzbekistan. The checkpoint operates from 8 am to 8 pm, there is an opportunity to cross the border by car. Before each of the checkpoints on both sides of the border, you need to walk about a kilometer on foot. It connects the major cities of Dashoguz in Turkmenistan and Khiva in Uzbekistan. The checkpoint opens at 09:30 am and closes at 18:00. Suitable for crossing on your car. This border point is convenient if you come from the city of Kunya-Urgench, and the next point of your destination is Nukus in Uzbekistan. The checkpoint is open for pedestrians and cars from 9 am to 6 pm. The only point of crossing the border between these countries is in the north of Afghanistan (80 km from Mazar-i-Sharif) and, accordingly, in the south of Uzbekistan, near the city of Termez on the bridge over the Amudarya River. All those crossing the border are carefully checked (luggage, electronic media, books, medicines). The checkpoint is open only for pedestrians and only during daylight hours.